I have many so many books relating to nature and so many more that i want to buy. I always get asked what books do you have or where do you get some of your information well below are selection of books that i either use on a regular basis or i am wanting to purchase.I have added links to the pictures if you are interested in any of them.The links will take you to the book depository where if you want you can purchase. We at The Wild Food Huntress are not affiliated with book depository, If you do order from them all questions and issues relating to payments and postage need to be directed to them. If you do some searching around you may be able to purchase the book cheaper elsewhere. If you do purchase these books you need to satisfy for yourself that the information that is being given is correct.Also some of the books may give medical uses for some of the plants.I strongly suggest that you seek expert medical advice before using. The Wonderous World of Weeds features 100 common world-wide weeds and each plant will include: a full description and identification together with a photograph; distribution i.e. where they typically grow; a list of their common names; what uses they have; what medicinal value they have; when to harvest them; recipes - whether it be culinary, medicinal or both. In this book, 39 wild plants are presented with pictures and descriptions for proper identification. You don't have to go too far to start foraging. Some of these wild edibles are likely to exist in your backyard, in fields and places you walk every day. 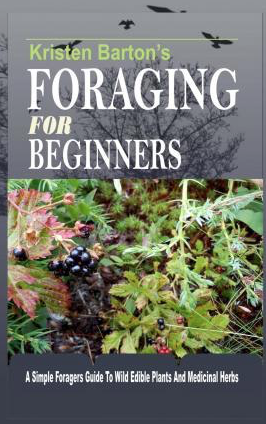 Now, you can gain the skills for surviving if you ever find yourself in a situation where you have to live on foraged food. 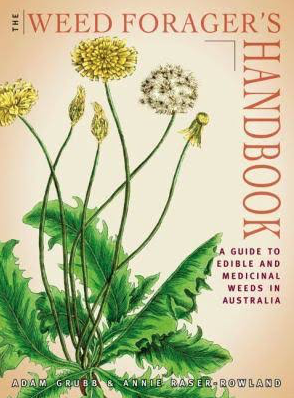 Just some of what you will learn are: * Foraging basics and rules * Foraging safety * Foraging tools * Proper plant identification with photographs * Medicinal information * A few recipes with wild edibles. The ideal portable companion, the world-renowned Collins Gem series returns with a fresh new look and updated material.This is the perfect pocket guide for aspiring foragers. Over 100 edible plants are listed, fully illustrated and described, together with recipes and other fascinating details on their use throughout the ages.Practical advice on how to pick along with information on countryside laws and regulations on picking wild plants helps you to plan your foray with a feast in mind.This is the ideal book for both nature lovers and cooks keen to enjoy what the countryside has to offer. New edition of the definitive guide to growing and using herbs, from the experts at the RHS An illustrated A-Z of herbs packed with horticultural information and practical tips, perfect for gardeners, herbalists and cooks. 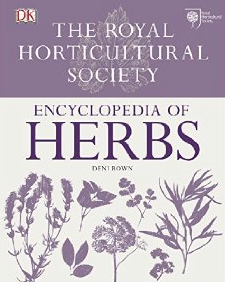 Discover all there is to know about the beneficial properties of over 1,000 herbs from across the globe, and learn about their uses in cookery, cosmetics and herbalism. A quick identification guide covers the familiar as well as rarely-seen species, so you'll always find what you're looking for. Plus, a special warning symbol alerts you to potentially toxic or harmful herbs. Garden designs and planting schemes provide ideas for traditional herb gardens or smaller plots.